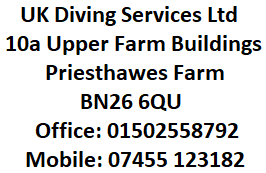 UK Diving Services are a leading provider of national safety boat services across the UK's coastal and inshore waterways. We specialise in protecting workforces as they work over, near or on the water. Our water safety management system provides the optimum solution for companies and organisations who are obligated to protect their operatives as they undertake their work in marine environments. Our safety boats are also available for hire to organisations who regularly provide waterside events for the general public. In these circumstances we can deliver tailor made water safety packages which includes waterside assessments and preventative measures for the safety of large crowds gathering by water. Our national safety boat services are amongst the best available in the UK. All our crews and vessels are licensed under the MCA - Maritime And Coastguard Agency. With each job careful consideration is taken to the conditions within which the safety boat is to operate ie tidal, non tidal, water flows, local marine traffic, hazardous areas etc...the list goes on. Once we assess these conditions appropriately qualified crew and safety boat type will be decided. Titanium UK build, repair and survey bridges nationwide across the UK.Our open approach to providing leading project management allows us to provide our clients with the best results every time. We fully understand the varying complexities between pedestrian, rail and road bridges and how important a flexible approach is to delivering a new bridge project on time and in budget... SAFELY. It is this diversity that makes Titanium UK a leader in new bridge construction. With a vast network of bridge maintenance and repair teams available to us at any one time Titanium UK are well placed to carry any bridge repair or maintenance projects through to completion successfully. Titanium UK,s bridge inspection services providing scheduled bridge surveys for rail bridges, road bridges and pedestrian bridges alike. Our bridge inspectors can access every part of any bridge as per request. 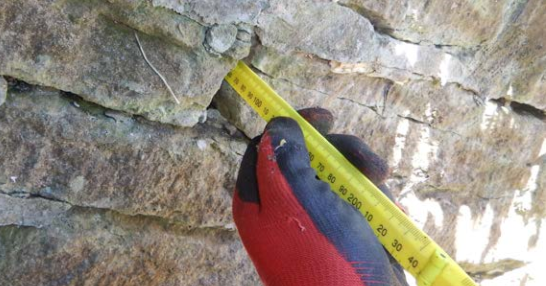 Our bridge inspection contractors provide roped access for high awkward positions and underwater solutions for bridge abutment inspections and scour surveys. Closed chambers are also accessible through controlled use of confined space measures and equipment. Titanium UK deliver competitive scaffolding solutions for any bridge maintenance or construction project. From bridge painting, maintenance and repair to full bridge construction projects our scaffolding operations department have it covered when spanning any water environment. 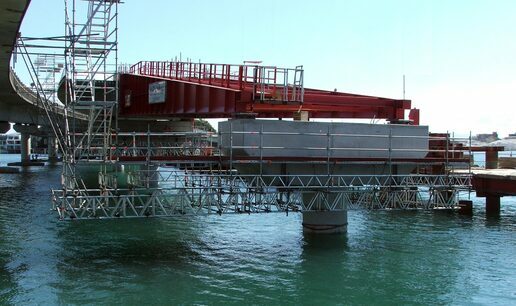 Our bridge scaffold services are available nationwide and cover all aspects of bridge scaffold assembly over water. Our integrated bridge scaffolding services include the provision of rescue boats to honor our health and safety obligations....keeping everyone SAFE from the risks associated with working over water. Please feel free to contact our bridge operations team today with questions.